Dalum Papir A/S is one of the world’s leading manufacturers of 100% recycled, high-quality paper for the graphics industry. The original paper factory was built in 1874 in Dalum, on a river-bank site near the Danish city of Odense. Dalum Papir has a fine-paper production capacity amounting to 140,000 tons per year, and an important role is played by the company’s de-inking plant at Maglemølle, which produces 70,000 tons of recycled pulp annually. The de-inking sludges are fully dewatered on site prior to disposal. 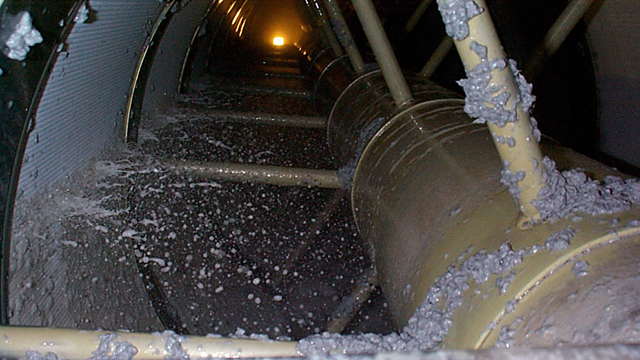 Dalum Papir uses a drum thickener to dewater the de-inking sludge from the flotation cells. “This enables us to achieve an 80% reduction in the volume of sludge sent to the screw press,” says John Nielsen, engineer at Dalum Papir. When production increased in 2000, Dalum Papir was able to boost its sludge handling capacity simply by upgrading the thickening equipment, without having to make any changes to the screw press. “We chose ALDRUM, the Alfa Laval drum thickener, because of its simple construction and its very efficient design,” adds Mr Nielsen. The drum thickener previously used for reducing the volume of recycled paper sludge was proving too expensive, due to spare parts and breakdowns. Duo flocculation reactor made it possible to reduce the volume of de-inking sludge by almost 80%. This means that the company will only have a very limited need for additional dewatering capacity if production increases in the future. The installation has been running round the clock since November 2000, corresponding to approximately 8,200 hours of problem-free operation per annum. Thanks to its straightforward design, the ALDRUM Mega drum thickener requires very little supervision and no maintenance at all. We chose ALDRUM, the Alfa Laval drum thickener, because of its simple construction and its very efficient design. 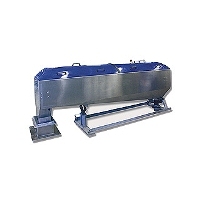 This enables us to achieve an 80% reduction in the volume of sludge sent to the screw press. Reduce sludge volumes by 85% With the ALDRUM sludge thickening system you can reduce your sludge volumes 85% to 90% and save money. If you’re transporting liquid sludge, you can reduce hauling costs. enclosed process for better working environment.